Tier 1 Entrepreneur visas are aimed at non-EEA nationals who wish to set-up a business in the UK or join an existing one. If you need a Tier 1 Entrepreneur Visa, our specialist immigration solicitors will take care of the matter for you, from start to finish. Currently nearly 50% of all Tier 1 Entrepreneur applications are being refused by the Home Office. With our comprehensive knowledge of the workings of UK Visas and Immigration (UKVI), gained through many years of handling complex immigration cases, you will sharply minimise the risk of the refusal. You can relax in the knowledge that we will give you the very best chance of being awarded an entrepreneur visa, the subsequent extension, and ultimately settlement in the UK. Our expert immigration team boasts one of the highest rates of success in Tier 1 Entrepreneur applications. RVS Solicitors are pioneering a new generation of law firm; providing a modern, vibrant, digitally-based service, tailored to you and your specific legal needs. We understand how precious your time is and we filter through all the jargon and the noise to give you the information you need. 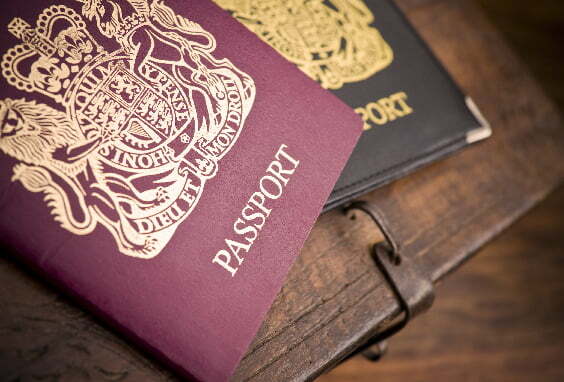 For a free assesment call our specialist immigration solicitors on 0203 372 5125 or complete our online enqury form. Who is the Tier 1 Entrepreneur Visa for? If you are from outside of the European Economic Area (EEA) and Switzerland, you would like to set up a business or invest in and act as a director of an existing UK company, and you meet the eligibility criteria, the Tier 1 Entrepreneur Visa maybe for you. By discussing your commercial goals and personal ambitions with you, our team can quickly establish whether the Tier 1 entrepreneur route is the best option for you and your family. We get to know our clients on a personal as well as professional level, which allows us to create dynamic solutions to suit your best interests. What are the key benefits of a Tier 1 Entrepreneur Visa? The Tier 1 Entrepreneur Visa will allow you to launch your start-up in the UK or join an existing organisation (provided you have the required investment funds). In addition, you can bring your dependent family members with you. Your visa may be granted for a duration of up to three years and four months, after which it may be extended and later lead to permanent settlement in the UK. By engaging our services, you can be confident we will take care of the application process at every stage, enabling you to focus on your growing your business and achieving your commercial ambitions. Am I eligible for a Tier 1 Entrepreneur Visa? pass the Genuine Entrepreneur Test – this involves demonstrating that you have a credible business plan for your new venture and it may include an interview with a UKVI official. We understand every aspect of the Tier 1 entrepreneur route and our commercially astute solicitors can provide smart, practical advice on how you can achieve entry into the UK quickly and stress-free. In addition, we can provide introductions to accountants, wealth managers, banks, and real-estate agents who can assist you with setting up your life and business in the country. Why do I need a business plan as part of the Genuine Entrepreneur Test? As part of the Genuine Entrepreneur Test, you will be required to provide a detailed business plan. However, it is important to understand that traditional business plans, as required by lending institutions and investors, typically fail to provide the information an immigration official is looking for. UKVI want to know whether you meet the eligibility criteria, and whether you can provide the two full-time jobs for settled persons, which is a condition of you being able to extend your visa. You will also need to demonstrate an in-depth understanding of the market you are entering and that you have undertaken extensive competitor analysis. We understand exactly what UKVI is looking for when it comes to Tier 1 Entrepreneur Visa business plans. Our team will take the time to listen to the strategy you have for your venture and identify the strengths and weaknesses of your business plan in accordance with what immigration officials will be looking for. We can then assist you with making amendments, providing you with confidence that the plan you present as part of your application will satisfy decision-makers that you can meet all the entrepreneur visa eligibility requirements. In addition, we can assist you, either in person or via video conferencing or Skype, with preparing for an interview with UKVI. Our solicitors know the type of queries you will be asked and can run through mock interviews with you, so you feel fully prepared and can calmly answer questions under pressure. Can you assist me with extending my Tier 1 Entrepreneur Visa? Extending your Tier 1 Entrepreneur Visa is a critical step if you wish to apply for Indefinite Leave to Remain in the future. Once we have advised you on successfully obtaining entry into Britain, we do not leave you to find your own way for the next three years. Our team will work with you throughout your initial visa period, ensuring every step you take is in line with meeting your ultimate goal of obtaining an extension. This includes making sure your funds are invested correctly, and on time, you have met the criteria of creating two full-time positions for settled persons, and you can pass the Genuine Entrepreneur Test again. To find out more about how we can assist you with obtaining or extending a Tier 1 Entrepreneur Visa, please contact our London office on 0203 372 5125 or complete our online form to make an appointment. Find out more information on our fees here. Excellent service for my wife’s spousal visa from Lusine: very detailed advice, friendly and approachable. Also flexible in contact by email and provided an excellent cover letter. She is professional, intelligent, hard worker and cheerful! I highly recommend Dr. Lusine Navasardyan, as she is professional, intelligent, hard worker and cheerful, she helped us from the beginning of our case until the very end, when she prepared a strong bundle with over 385 pages, which helped us get a successful victory in our Asylum case . I strongly recommend her as I really appreciate all the professional work that she has done . Many thanks to her. Dr. Lusine has been working on my case. She has been very professional and a reliable person. She was always attending to my queries and she has always been very friendly throughout my case. I am very happy with the level and quality of service I got from Dr. Lusine Navasardyan. She is very professional while creating a friendly and comforting relationship with her clients. The service from Lusine was professional,efficient and well organised. Lusine worked extremely hard at resolving my all issues while getting the best result. So Rakhi Singal of RVS has just handled my divorce, it was a very complex case and I came to Rakhi at the very last minute on a friend’s recommendation. My case was a mess and I stood to lose everything. Dealing with Rakhi was more like having In-House counsel than hiring a law firm, she does not approach her clients as a cash machine like many law firms do, she works with you to manage and minimise your costs and de-escalate conflict rather than throw wood on the fire. She took a huge personal interest in my case, she was always available on the phone, very quick to respond to emails and is very honest and trustworthy. My ex had huge spending power and used a team of high profile solicitors against me, Rakhi literally saved me from complete ruin and helped me get a very fair deal with me spending 6 times less than my ex on legal fees. Thank you, my new family and I will be forever grateful!!!! Could not be more pleased with the results! 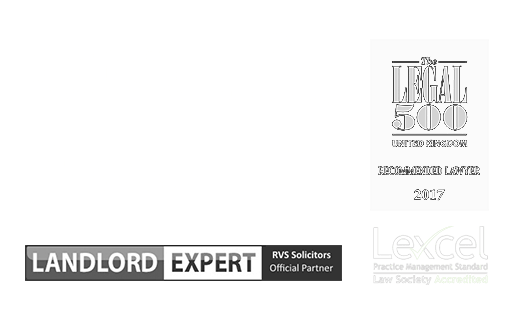 I approached RVS solicitors as they were highly recommended and now I completely understand why. Soon as I contacted Rakhi I knew I wanted to use her, she was so professional and easy to get along with. I was faced with clients who were refusing the pay invoices, Rakhi immediately reassured me that she was able to help me and recoup these costs. She dealt with the whole process very professionally. Really impressed with Rakhi’s dedication to our case and her knowledge and experience on dealing with the case. She communicated with us throughout the process, providing me with regular updates. Thank you so much, I cannot vouch for her work enough and RAW Invites are happy for you to continue to act for all their matters in the future.